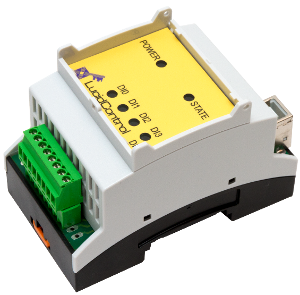 LucidControl consist of a range of different analog and digital input and output modules data acquisition and control that can be used in various logging applications. The IO modules are USB power supplied and operate standalone without needing extra power adapters which makes LucidControl a very reasonably priced automation solution also for movable solutions. An ordinary USB connection is sufficient to run the IO modules. The flexible and DIN-Rail mountable enclosure makes the IO modules best suitable for the automation branch since it allows their easy integration to distribution boxes. For reliable solutions it is also helpful that the input output modules are prepared with durable and industrial standard plug-able contacts. Services covering e.g. measuring temperatures which are usual in the do it yourself field can be realized clean and straight forward by adding the IO modules into distribution cabinets. Because of an extensive documentation, high quality development tools and APIs for most important programming environments and also their straight forward use make the units a great automation solution for newbies as well as for professionals. In the training section, LucidControl can be employed by students to do their first steps in automation development. With no need for further drivers, they are working out of the box with many relevant computers and work with Windows as well as Linux operating systems. Beside of standard PC LucidControl the IO modules work also together with embedded computers like the Raspberry Pi what makes the IO units most usable. Making use of Linux OS these micro-sized computers are very best suited in order to create database applications making all input output capabilities available through the Internet. What can the Analog Output Module be used for? LucidControl analog input (DAQ) and analog output (DAC) modules represent one type of input and output modules that are ready to process analog channels like e.g. currents or voltages. 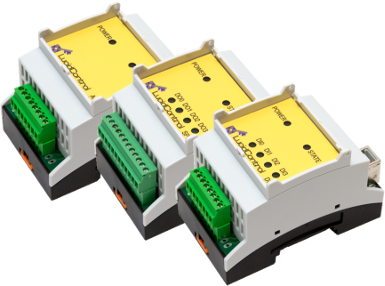 In the case that analog current or voltage lines are needed in order to realize a project, the LucidControl the analog output module is ready to make up to four of such signals. The outputs create voltages in the values of 5V, 10V and 24V fulfilling the difficult specifications of plenty of projects. Taking the analog voltage interfaces of 0-10V and 0-24V as an example, they stand for two value ranges which are important for the automation industry and are supported by the analog output module. LucidControl analog output modules are also available providing current outputs sourcing 0-20mA and 4-20mA made for current loops. Managing a central heat system and dimming lights are just 2 examples of projects the analog output module can be really helpful. One additional application of the 4-20mA current loops is the transmission of analog data via extended distances where transmission loss is not tolerable and must be avoided at any price and this can be achieved by impressing a current instead a voltage on the transmission line. Also this can be achieved by the LucidControl analog output module. Output voltages in the range of -24V-24V are able to be achieved by utilizing two outputs of the LucidControl analog output module with symmetrical -12V ~ 12V option to one enhanced channel. 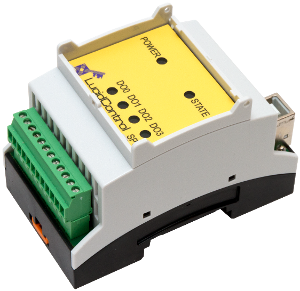 By offering a great tradeoff regarding price and precision, the LucidControl analog output module is the perfect system by providing a resolution of 12 bits in combination with a typical tolerance of 0.25% for the complete value range. To make the analog output module as helpful as possible and to cover many possible services, it is our firms goal to cover many signals with our LucidControl IO modules. 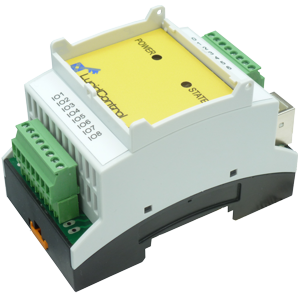 check this in order to read more facts regarding the LucidControl input and output modules.